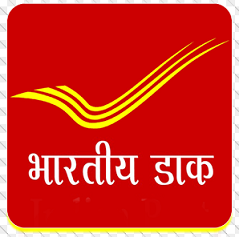 Latest India Post GDS Result Update dated 12.03.2019 : India Post has announced result of North East & Haryana State for Gramin Dak Sevak Post. Check Your Result from the link given below……..
India Post has announced result for Maharashtra, Uttarakhand, Madhya Pradesh, Telangana, Karnataka, Bihar, Chattisgarh, Kerala, Andhra Pradesh (190 New Posts), Odisha, Punjab, Haryana Gujarat, Assam, Tamilnadu, Himachal Pradesh, Jharkhand & Delhi State of Gramin Dak Sevak Post. Check Your Result from the link given below……..
India Post has recently initiated Recruitment Exercise of 20969 Gramin Dak Sevak Posts. As Decided Earlier Selection will be based on Marks in Matriculation. Candidates can check their Result Updates from this Article…. 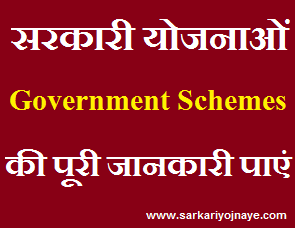 Gramin Dak Sevak Result will be announced & uploaded on the India Post’s Official Website. You can get Latest Updates from this Page itself. Candidates need to ensure the Following Things………. Adequate Means of Livelihood : The Candidate applying for the post shall note that he/she will have adequate means of livelihood to support himself/herself family. However this shall not be a pre requisite for the candidates for the purpose. selected candidates shall be required to comply with this condition within 30 days after selection but before engagement. Furnishing of Security : The Candidates applying for the post shall note that he/she shall furnish security amount of Rs. 25,000 in the event of his/her engagement for the post of BPM and Rs. 10,000 for other categories. Latest Updates regarding India Post Gramin Dak Sevak Selection Process & Merit List will be available on www.govtexamalert.com. Keep watching this Space for Updates. Dear Aspirants You can clear your Doubts regarding Age limit, Education Qualification, Pay Scale through Comment Box given below. You can also send us E-Mail. We will happy to help you. is there any reservation like ,obc ,ex servicemen in gds . Mam I got 95% in CBSE board…n m from up …..mera aa skta h Kya?? sir mere 79.60% he mp circle obc category mene gds mc/md pr apply kiya he koi chance he kya ? After how many days GDS merit list comes on. For Uttar Pradesh.